Sometimes, Sunday mornings can be stressful. Between later-than-usual Saturday nights and early Sunday mornings, it can make an otherwise lovely day a bit unenjoyable. One thing that I do to help my Sundays be calm and chaos-free is to have a few items that I wear on Sundays on rotation. Sort of like a Sunday Capsule Wardrobe, if you will. I have my go-to clothes that are a bit dressier, but also fuss free. I can't stand bending over to pick up a toy or kiddo and then having to rearrange my clothing upon rising. Am I the only one who gets annoyed by this? Anyway, I wanted to share one of my "signature" Sunday looks to help you streamline your morning if you feel the same pinch of time that I do when getting your entire family church appropriate. My fall/winter apparel has consisted mainly of tunics, leggings, and boots. Tunics are flattering on most body types and allow me to wear leggings, which look dressier than jeans, and boots (which are perfect for snowy, wet weather). Mark told me the other day, "I guess once you go "leggings" you never go back," referring to the fact that I can pretty much be found in leggings any day of the week. One of my favorite tunics is this Red-Diamond Tunic (which is on sale now!) by PinkBlush, a trendy online boutique. They offer cute dresses for women and also maternity clothing. What I love about this tunic is the length and comfort. It is so comfortable and cozy on these cold winter days. It's a top that I can go home and lounge in, as well, instead of getting back in my sweats after church. I love ShopPinkBlush so much that I'm giving away a $50 store credit to a lucky follower over on my Instagram feed (@thequickjourney). All you have to do is hop over there and follow the simple directions! This post is sponsored by PinkBlush boutique, but all stated opinions are my own. I was not monetarily compensated to share my opinion of their products. So, we eat a lot of carbs over here. I am either baking or looking for new recipes to bake pretty much on the daily. I tend to lean towards the easy recipes that don't take a lot of ingredients. I've found that those recipes go over better with my family than the unusual ones. Also, if it's too difficult, it won't be worth the effort. I want it to be rewarding and not exhausting. 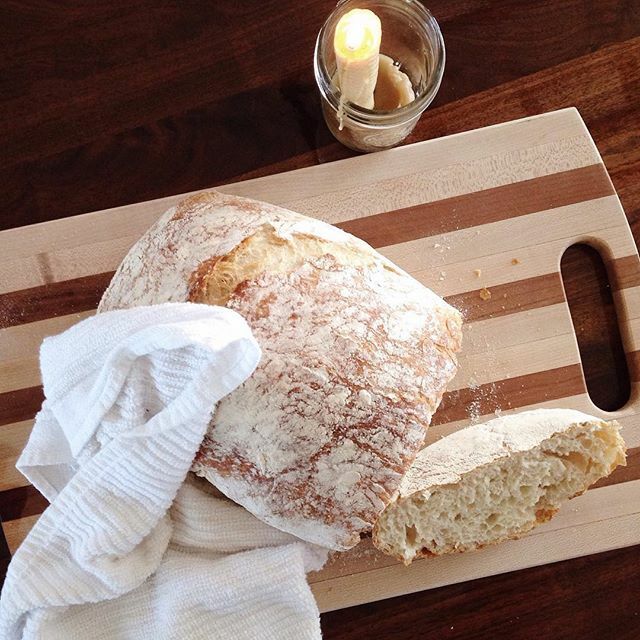 I stumbled upon this recipe via Instagram and it quickly became a regular in our bready-rotation. I start it the night before and then it's ready to be thrown in the oven the next day. I can't even explain how easy this is. My only tip would be to make sure you generously dust the towel with flour when you wrap the dough for the second rise. If you are new to bread making... use this recipe. It will be a hit, I promise!!! In a large bowl combine flour, yeast and salt. Add 1 5/8 cups water, and stir with hand until blended; dough will be sticky. Cover bowl with plastic wrap. Let dough rest at least 12 hours, preferably about 18, at warm room temperature. After 12-18 hours, lightly flour a work surface and place dough on it; sprinkle it with a little more flour and fold it over on itself once or twice. Cover loosely with plastic wrap and let rest about 15 minutes. Using just enough flour to keep dough from sticking to work surface or to your fingers, gently and quickly shape dough into a ball. Generously coat a cotton towel (not terry cloth) with flour; put dough seam side down on towel and dust with more flour. Cover with another cotton towel and let rise for about 2 hours. When it is ready, dough will be more than double in size. When dough is ready, heat oven to 450 degrees. Put a 6- to 8-quart heavy covered pot (I use a Pampered Chef covered pot) in oven as it heats. Remove pot from oven. Place the bread dough in the pot and cover with the lid. Bake 30 minutes, then remove lid and bake another 15 to 30 minutes, until loaf is beautifully browned. Cool on a rack. Enjoy! 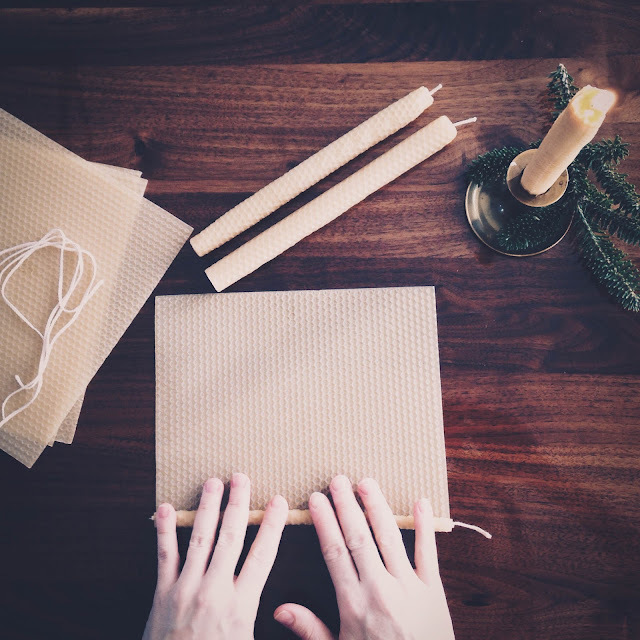 I posted on Instagram about my hand-rolled beeswax candles and a lot of people messaged me about where I got my supplies. 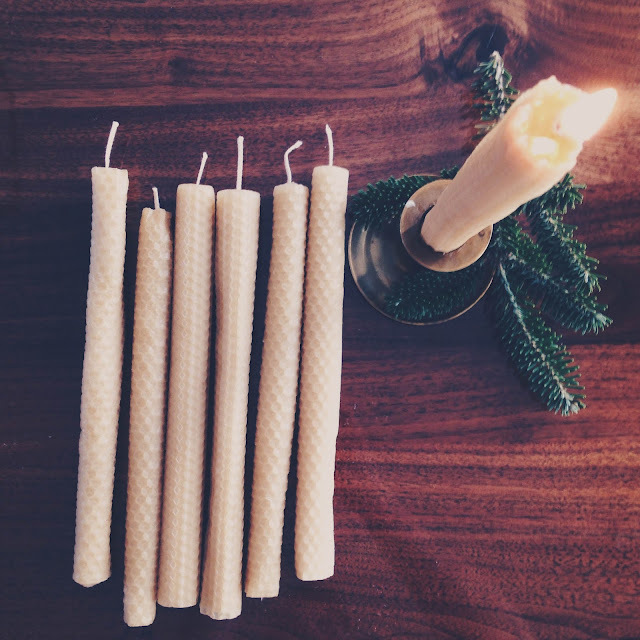 I love candles in general, but there is something about beeswax candles that make me feel all "little house on the prairie" and I love them. They have a natural feel to them and the glow is such a soft, warm light. 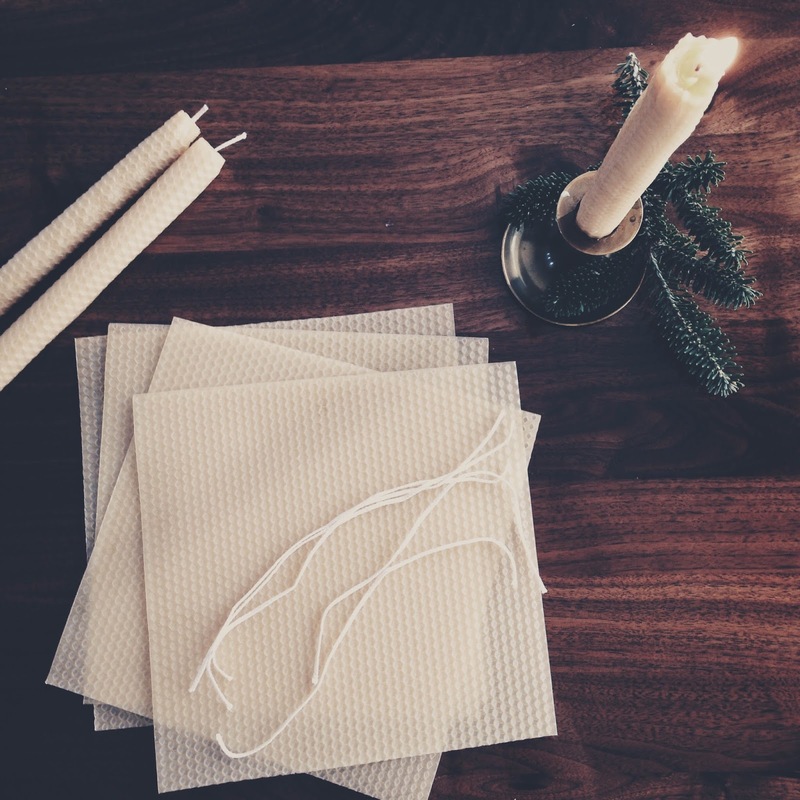 This little project is gratifying because it is so easy and you can knock out a bunch of candles in a little amount of time. These are perfect for our school time when we work on our Narration Journals and they would also make a sweet, handmade gift!